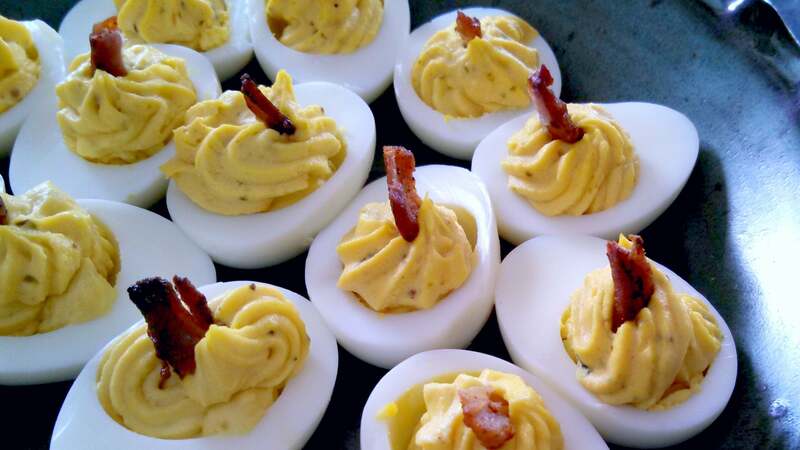 Fancy devilled eggs have become something of a trend. It seems that every little bistro and wine bar offers some sort of "elevated" take on the picnic classic, usually with a bit of crispy pork (or even caviar) on top. You do not, however, need a prosciutto crisp on top of your devilled egg for it to be good; the best ones are the simplest. Photo by Green Mountain Girls Farm. This is the most important rule, as overcooked eggs of any kind are pretty gross. Dry, powdery yolks lead to dry, sulfury filling, which means you have to overcompensate with the mayo (or throw them away). You want yolks that are completely set but still fudgy and vibrant in colour. Seven minutes in simmering water or 11 minutes in a steamer should get you there. Peeling the eggs has always been the most frustrating part of the devilled egg-making process. Bits of the white stick to the shell, and you end up with scarred, flimsy whites that compromise both the structural integrity and aesthetics of the appetiser. Luckily, this tragedy is easily avoided: just make sure to always add your eggs to already boiling water, and then plunge them into an ice bath immediately after they're done cooking (and leave them there for at least 15 minutes). Steaming (also followed by an ice bath) will also result in super-peelable eggs. Peel them under running water, starting with the ends. Mayonnaise is an important part of the devilled egg, but it can be easy to go overboard. Too much mayo not only dulls the flavour of the yolk, but you can end up with a mouthful of mostly mayonnaise, and that is a terrible feeling. For a dozen devilled eggs (made with six whole eggs), a couple of tablespoons will be plenty, provided you haven't violated rule #1. Rule #5: Season, season, season! As with any savoury (and some sweet) food, these babies need salt and they need pepper. They also need paprika (Hungarian, smoked, natch). 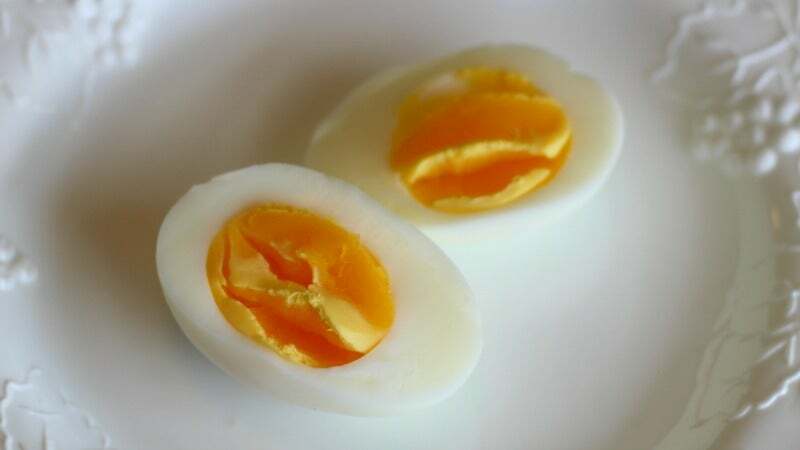 I know "to taste" is very vague, but seasoning devilled eggs is really something that must be done to your specific taste, especially if you are one of those people who adds hot sauce, or Worcestershire sauce, or avocado to your egg filling. Add all of your other ingredients, mash it all up with a fork until no more streaks of mustard or mayo remain, then sprinkle in some salt and pepper, taste and add more if needed. Now is also a good time to mention that, even though the picture at the top would suggest otherwise, I am firmly against whipping and piping the filling back into the white. Devilled eggs are a simple, almost rustic appetiser that doesn't have time for your fancy, flowery patterns and whipping the filling makes it almost too creamy. Just mash with a fork and scoop it with a spoon. Top with paprika and serve.